The Ithaca College women’s soccer team won one game and tied another during the Upstate Collegiate Cup on Sept. 17–18. Football returns to action against Hobart College, women’s soccer will host the Upstate Collegiate Cup and women’s tennis will face off against Alfred University on the Ben Wheeler Tennis Courts. The men’s soccer team picked up its second win of the season against Wells College Sept. 13 at Carp Wood Field. 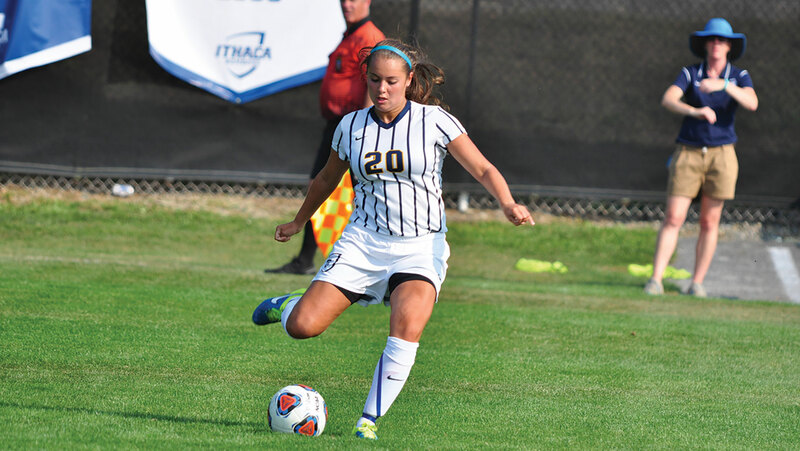 The Ithaca College women’s soccer defeated SUNY Farmingdale 1–0 Sept. 11 on Carp Wood Field. The Ithaca College women’s soccer team won its second game of the season Sept. 4. The men’s soccer team advances to the Empire 8 final after defeating Elmira 11–10 in penalty kicks after a scoreless 110 minutes of play.